Let's start with the animation. I appreciate this was a different era and CG animation was still new. But this was just pathetic. The characters were lifeless, the movement was constricted, and even elements you'd expect to be easy - camera movement and crowds - were lacking. I'd be extremely surprised if this thing's director had ever worked with CG before. For those of you keeping score, the animation is better than Olive the Other Reindeer and about on par with The Happy Elf. It's good to keep these things in perspective. The script was bizarre. For better or worse, the folks making this clearly loved the original, or at least liked it enough to retain continuity. Bumbles couldn't swim in 1964; Bumbles can't swim in 2001. It sounds like the kind of thing no one could ever screw up, but a surprising number of Christmas sequels can't be bothered. So credit where its due. They de-aged Rudolph back to adolescence, but they did the same thing in Rudolph's Shiny New Year so there's precedence. They definitely wanted to make this an actual sequel: pretty much every character who appears in the first one gets at least a cameo here, usually containing a reference to part one. They're joined by some new characters, most notably Queen Camilla, a hippopotamus who takes in damaged toys and nurses them back to health. There's a musical number about this in the style of a sultry jazz song. If you think that's out of place, you should see the scene where Rudolph and Clarice fall down and briefly end up in a mating position. I guess the animators figured they could put whatever they wanted into this thing, since no more than a handful of people would see it. If you're curious about the plot, it centers on a new villain known only as "The Toy Taker," an international toy thief. Wait - I may have spoke too soon. At the end, we discover he's also known as Mr. Cuddles. He's a stuffed bear whose owner threw him out, and he's trying to save all other toys from such a cruel fate. There's a musical number about this. Funny thing about 2001: it's two years after 1999. And, funny thing about 1999: it's the year Toy Story 2 came out. Of course, Toy Story borrowed a lot from Henson's The Christmas Toy, so I guess it's only fair Christmas movies should be able to borrow elements from it in return. Needless to say, this was pretty awful. The Toy Taker plot was abysmal, and they screwed up one of the best characters from the original, King Moonracer. He comes off as a simpering wimp in this thing. 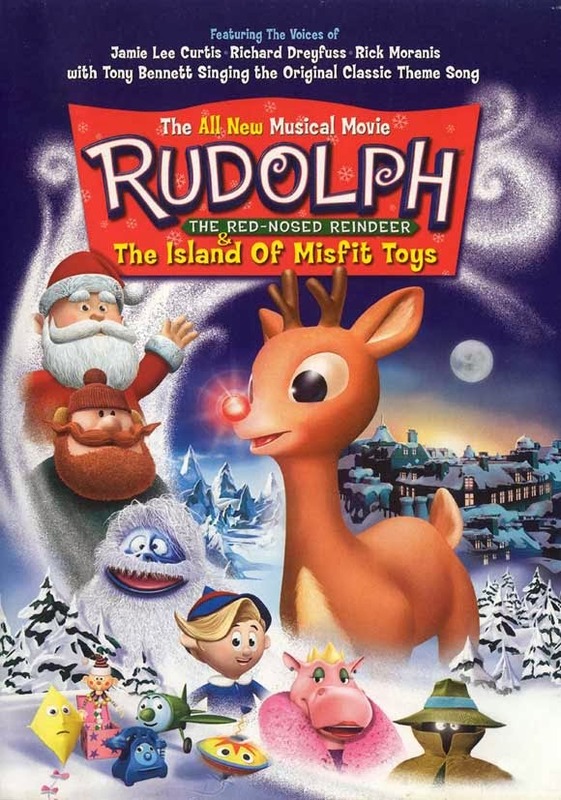 It's also worth mentioning that, despite being called Rudolph the Red-Nosed Reindeer & the Island of Misfit Toys, they spend a smaller portion of their time on the island than they did in the original. 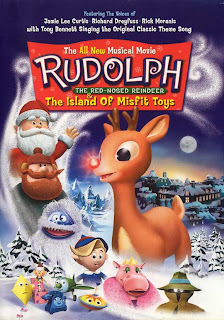 Rudolph the Red-Nosed Reindeer & the Island of Misfit Toys is not a movie you, or anyone else, ever needs to see. Skip it and re-watch the original. Come to think of it, you can do better than the original, too. Skip that and watch How the Grinch Stole Christmas, The Snowman, Christmas Eve on Sesame Street, or A Muppet Family Christmas instead.